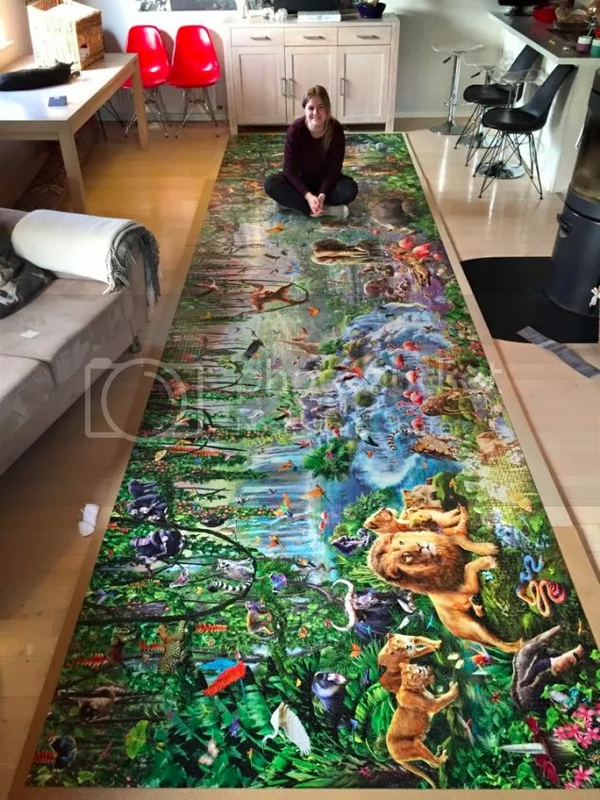 It’s Follow-Up Friday: Jumbo Jigsaw edition! And today, I’d like to return to the subject of world records! Follow-Up Friday has become something of a repository of puzzly world records. In previous installments, Follow-Up Friday posts have covered Largest Architectural Video Game Display (when a 29-story game of Tetris was played in Philadelphia), Most Game Show Episodes Hosted by the Same Presenter (for Alex Trebek’s run on Jeopardy! ), and the solving of the World’s Largest Rubik’s Cube-style Puzzle. Heck, just last week, I posted about the World’s Largest Vertical Maze. And this week, I’ve got another cool one for you: the world’s largest jigsaw puzzle. It is called “Wildlife,” and it’s produced by Educa. It retails for $400. It’s composed of 33,600 pieces. It measures 5 feet by nearly 19 feet. It is so large that it comes in ten separate bags, inside a wooden box on wheels for ease of movement. It is a monster. The young woman pictured solved it in 450 hours (over the course of two and a half months). There is a world speed record for solving it, but it took 100 people over 19 hours to do it. Pretty amazing, especially since she owns a cat, a creature rarely conducive to the solving of jigsaw puzzles. So, fellow puzzlers and PuzzleNationers, what’s the biggest jigsaw puzzle you’ve ever tackled? Let me know! I’d love to hear about it! 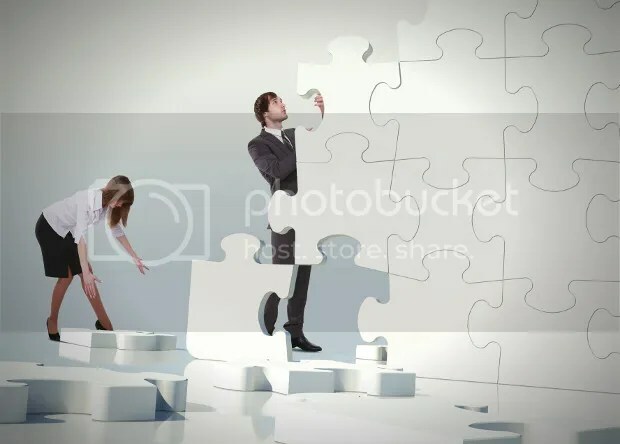 This entry was posted in Games, PuzzleNation, Puzzles and tagged Educa, Follow-Up Friday, games, Geeking Out, Guinness Book of World Records, jigsaw, jigsaw puzzle, PuzzleNation, Puzzlin' fool, Tetris, Wildlife, world record by gmdirect. Bookmark the permalink.